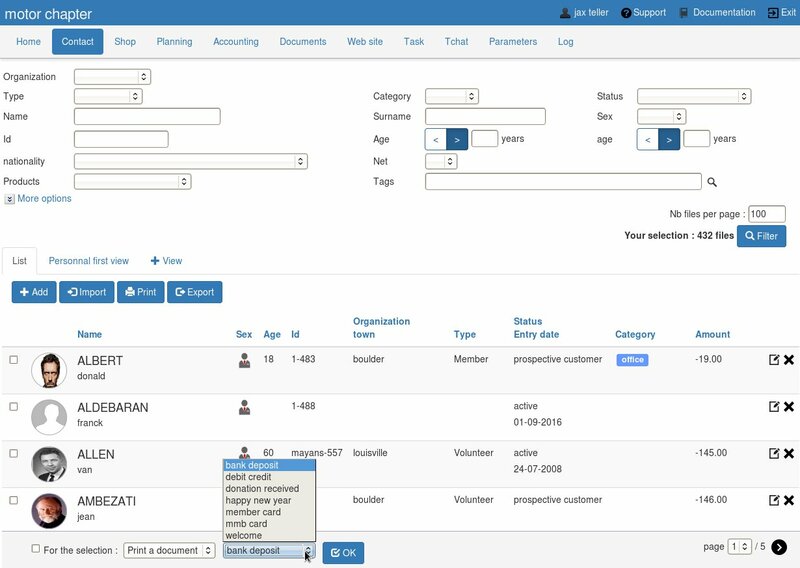 With Kananas software, you can combine informations from data of your contact list with a template document. These merged documents can be edited or can be sent by email. You can edit automatically envelopes , labels, postcards, brochures, newsletters and other documents for a group mailing . In the “Documents” menu, select the view “template document ” and then click on “add”. 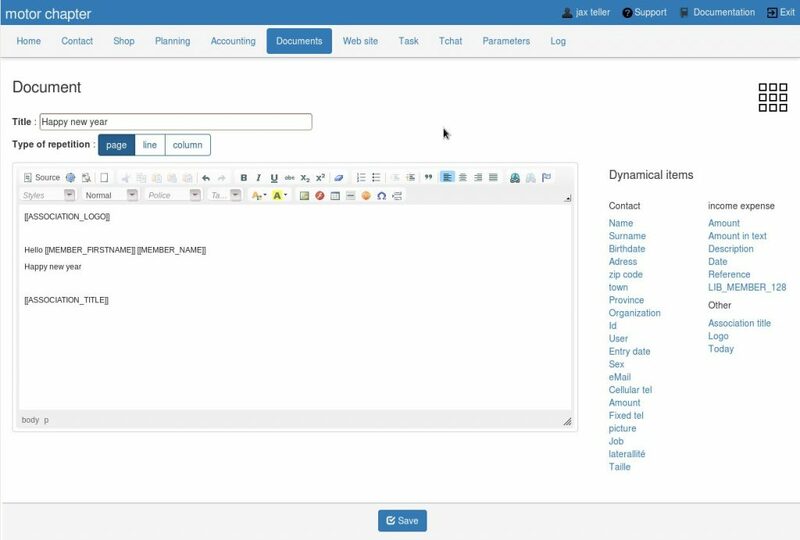 You can format your document in the manner of a word processor (fonts , styles, etc …) and also insert information from your database (fields dynamic : photo, name, address etc …). These fields will be replaced at runtime by the values stored in the database . There are 2 types of documents : those that are repeated per page (1 page = 1 member ) and those that are repeated by line (1 member = 1 line). The choice is made with the field “type of repetition”. Tip : to frame your text on the page , place it in a chart in which you adjust the column width (right-click on the chart to change specifications). You can preview the result by clicking on the PDF icon to the right of the document title . In the “Contacts” view , click the contacts that you want to send the mailing . Tip: you have a check box below the table to select all the contacts. Once the selection is made, click on “Print a template document ” in collective action function (down list), then select your document, then click on OK.
Click on “Print” (printer icon) to print the result of the fusion of the selected document with the selected population. When the template document is created, you can use it again as many times as you want and on the population you want . In the view “contact”, if you choose “Send a template document”, the merged document will be sent by email to each of selected members.